This project is part of a new blogger challenge/blog hop called #MakeIt. A group of fabulous bloggers and I have teamed up to work on monthly seasonal projects. This month is all about PUMPKINS! 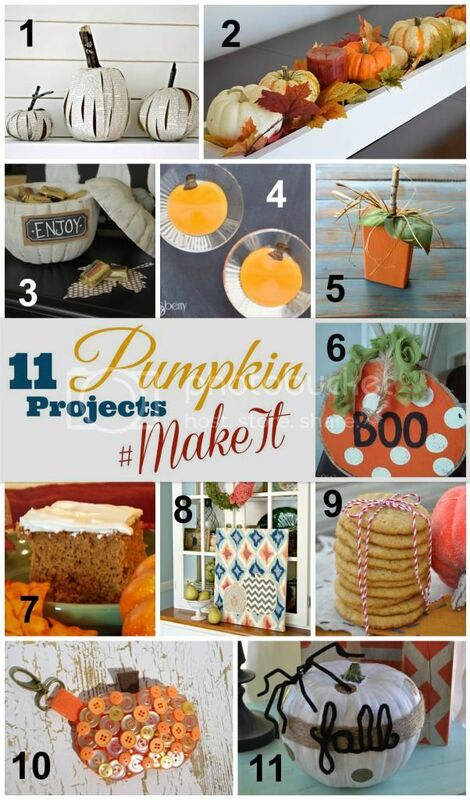 Take a look at all of the pumpkin projects below and visit some of the other blogs to see how they were created. I'm really happy to be teaming up with such talented bloggers for this monthly challenge! For this month's pumpkin theme, I used some left over pieces of wood from previous projects and I made them into these rustic wooden pumpkins. Used 2x4 pieces that were six inches long, but it doesn't really matter what size the wood is since pumpkins come in many different sizes. Just make sure you have a straight cut at the bottom so the pumpkins stand up straight. First, give the wood a coat of primer. 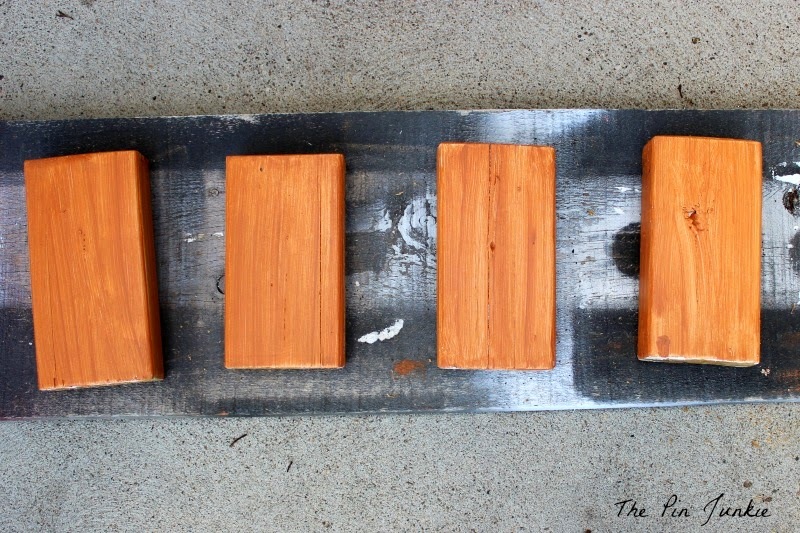 After the primer dries, paint the wood pieces a pretty orange pumpkin color. 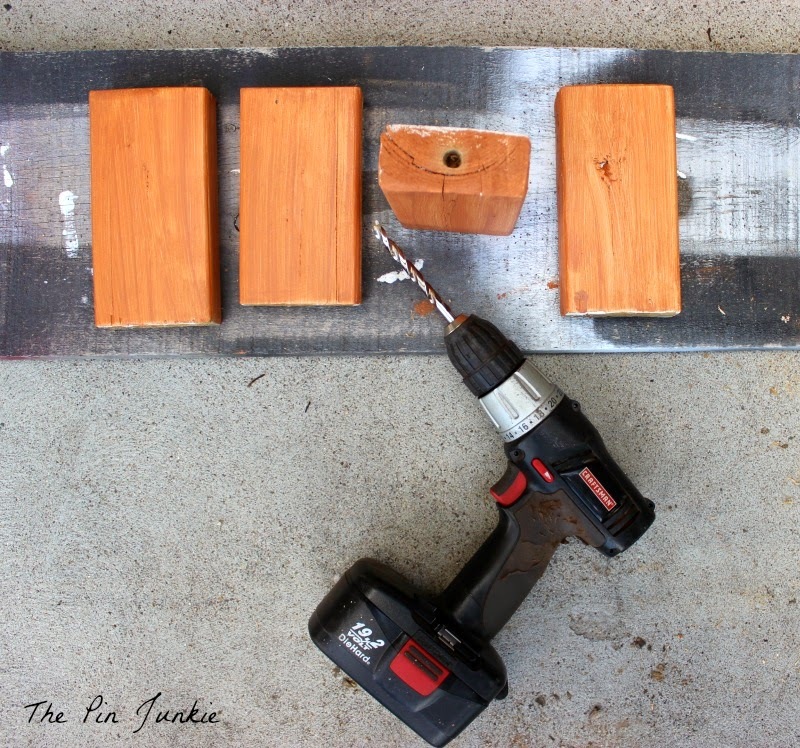 Drill a hole in the top of each piece of wood. Put the twigs in the holes for the pumpkin stems. 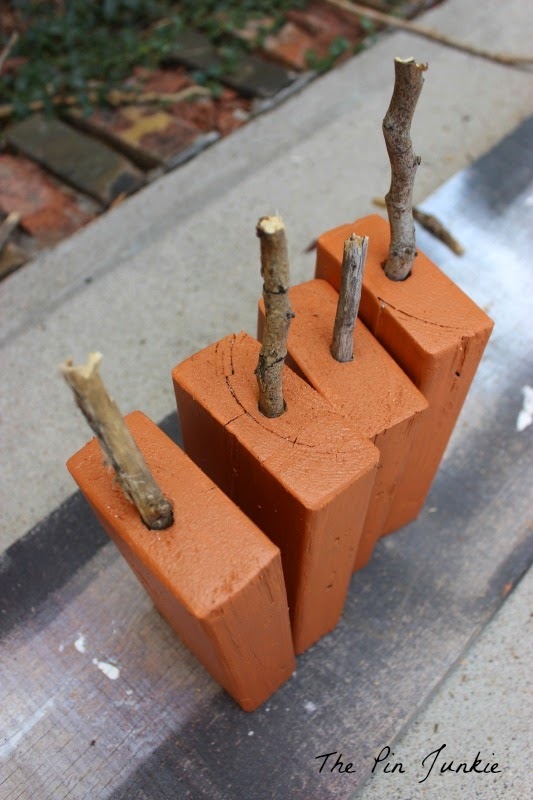 I found twigs that fit snugly in the holes, but if your twigs are loose, just use a little bit of glue to hold them in place. Glue some leaves to the top and tie on a few pieces of raffia. 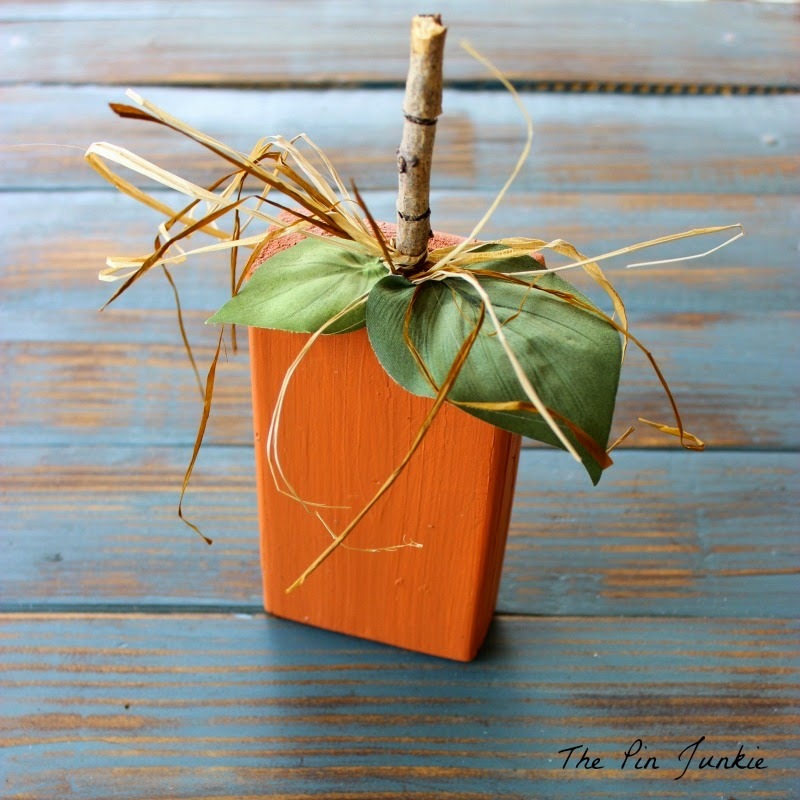 and have your very own mini pumpkin patch perfect for fall decorating! 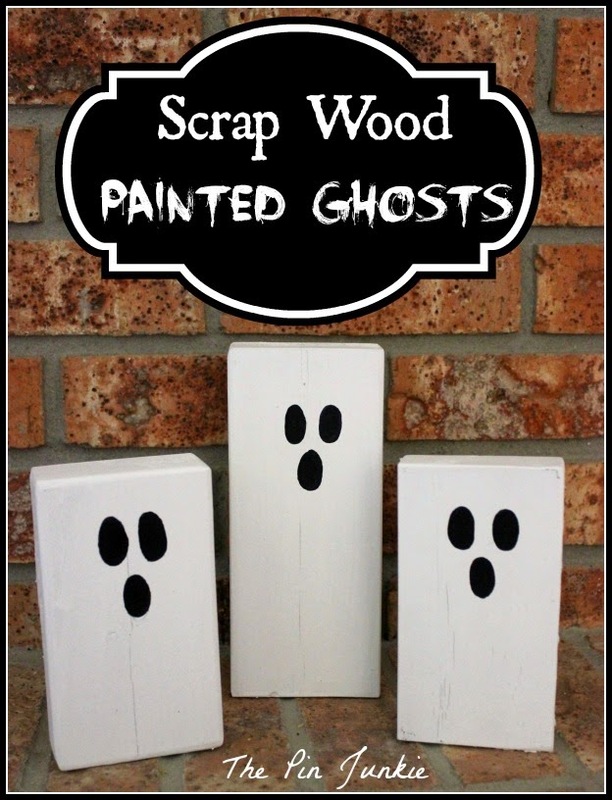 More fun Halloween projects to make with scrap wood! Inspired by this pin for wooden pumpkins. I really like your rustic pumpkins! I made some similar ones last year and I just love them! What a cute project Bonnie!! 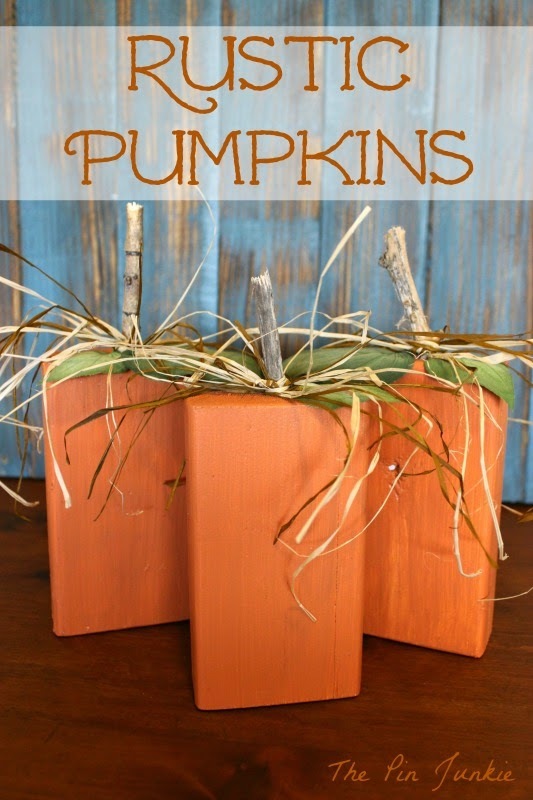 I am loving pumpkins made from wood, and these are just adorable!!! I love how these turned out. I'm really excited that there are several rustic and/or wood projects this month. I love both! Have a great week! Adorable! I'm always looking for ways to use up scrap wood. I just hate to throw it away. Have a great week Bonnie! Thanks Ginger! You're awesome for organizing this fun challenge! So simple and fabulous! I have tons of scrap wood and am always dreaming of ways to use it. These would be so cute on the mantle. Mr. Pin Junkie thinks I'm crazy for saving bits and pieces of things, but I think it's fun to find ways to use them! I love your wooden pumpkins Bonnie - adorable! What cute pumpkins! Love the way you turned some simple items into such a cute project. I am stopping by from the Craftastic - Sew Can Do Link Party where I am linked up too where I am linked up too with my Free Pintable - Say Boo Scare On project. Oh goodness! These are so adorable! So cute - and they look easy too! Pinned to my Halloween Board. Glad I found this at the Wonderful Wednesday Blog hop! So rustic, so primitive, so darling! Love these! They're so cute for fall. What a lovely use for some scraps of wood! Pinning. This is such a cute idea! Way to turn scrap wood into something so fantastic! I've love to have you share this at my weekly link party! http://www.thelifeofjenniferdawn.com/2014/10/a-little-bird-told-me-link-party-112.html Hope to see you there! I love your rustic pumpkins! They're adorable. Super cute and simple. Stopping over from Weekend Retreat Linky. Have a great weekend! A fun roundup of pumpkin projects! Thanks for sharing with SYC. So simple and cute! I'm used to saving fabric and paper scraps.....now I need to start saving wood scraps too! These pumpkins are so cute! I love the ghosts too! These are so cute, Bonnie! 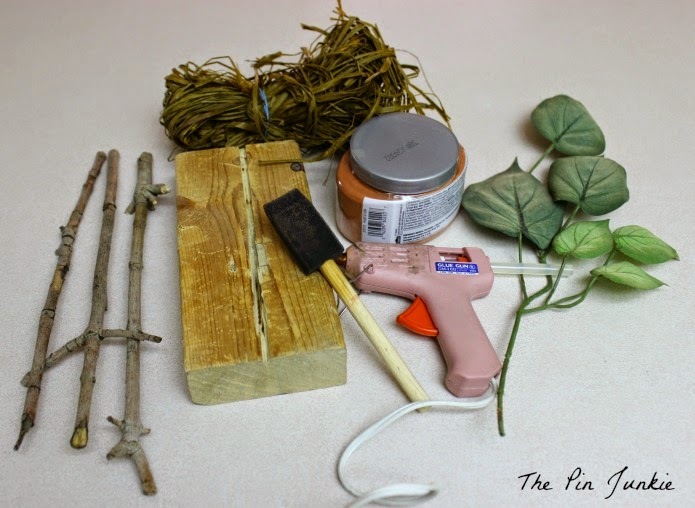 We have lots of leftover wood from so many projects.... and would be so fun to paint with the kids! Would love to invite you to link up with us on Thursdays please :) Have a great week! I love these! thank you for linking up last week at Friday Favorites. I chose this as one of my features, stop by and grab a button. I hope you link up again tomorrow night, it goes live at 5pm. Those are cute! I'm going to ask for tools this Christmas so I can recreate what I see on blogs like yours! We featured these super cute pumpkins at The Project Stash! If you haven't stopped by and linked up your latest, stop by! http://goo.gl/79LIhi Happy Thursday! Thanks for the feature Jill! I appreciate it! So cute! My children will love helping make a few of these. Pinning & tweeting. Thank you for sharing at Wake Up Wednesday! These came out so cute. Thanks so much for sharing with Adorned From Above's Link Party. We hope to see you at tonight's party.